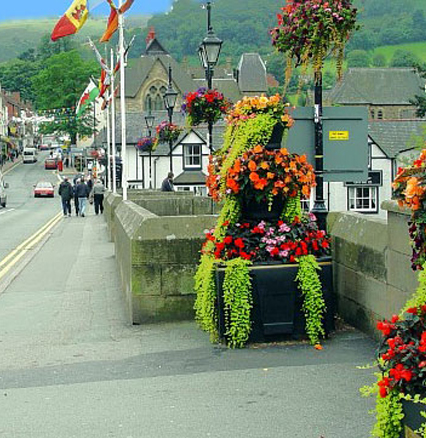 Llangollen is an ancient town and history can be found everywhere. It is overlooked by Dinas Bran Castle, the oldest building in the town. 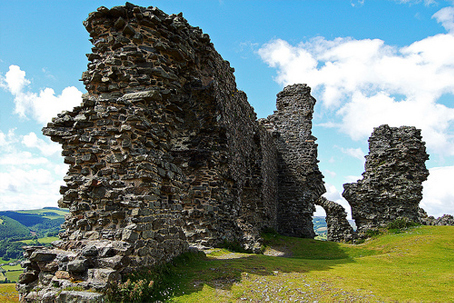 What remains of the medieval castle was built towards the latter part of the 13th century by the princes of Powys Fadog. Some of the earliest references to King Author can be found in Llangollen and the surrounding area. Indeed, there are many local place names and traditions attached to him and his companions. The countryside of Mid-Wales is outstanding and offers superb opportunities for hill walkers to take in some of the splendid views, The coarse fishing, golf and cycling in the area is also excellent, but if you are looking for something more adventurous, there are several local adventure sports centres offering everything from canoeing and rafting to rock climbing, quad biking and archery. Family attractions include the famous Llangollen railway, where visitors can view the historic engines and even enjoy a steam journey during the summer. You may also wish to take a senate journey along Llangollen canal, taking in the scenery from a boat pulled by heavy horses. Alternatively, you may wish to take a narrowboat trip and travel along Thomas Telford's magnificant Ponteyslite Aqueduct, 126-feet above the River Dee! 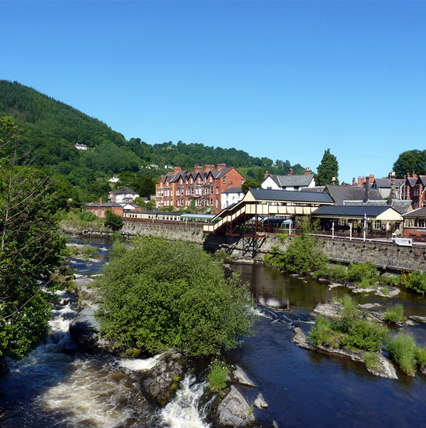 There are many excellent shops in Llangollen, from those selling traditional goods to modern stores. There are also many pubs, cafes and restaurants where you can sample many different cuisines including traditional Welsh fayre. If you want to travel further a field, the beautiful and fascinating Roman city of Chester is only 20 miles away. The bustling north coast of Wales is a popular holiday destination for all the family and Llandudno, Rhyl, Colwyn Bay and Conway are all great destinations for a fun day out Hillcrest Guest House is open all year for short and long breaks. Pets are welcome and there is ample parking. Please be aware that Hillcrest Guest house operates a strict no smoking policy.